Hmmm… this post may not go down well but heck, we’ll put it out there and see who else agrees or disagrees. 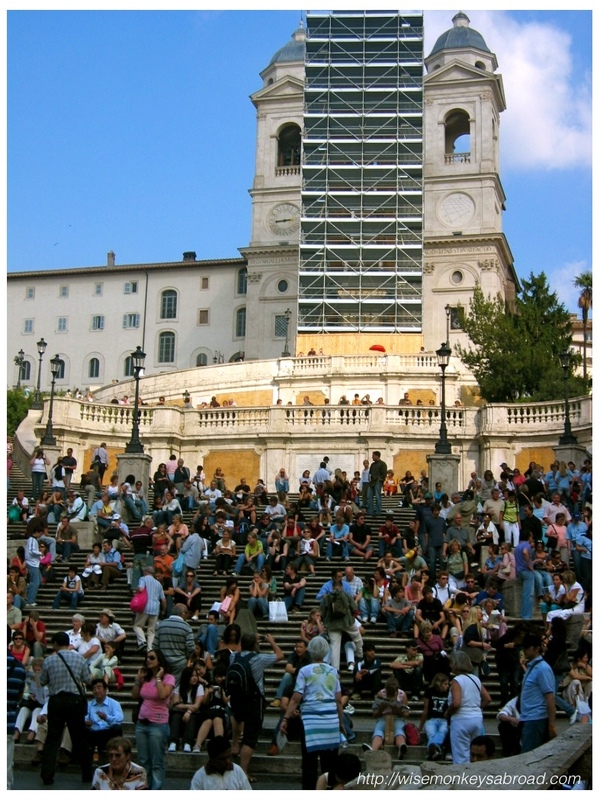 We read this article recently about the most disappointing travel destinations. And we thought it was a little harsh because we tend to try to see a place for more than just the “tourist”-hype and labels that it has been given. But then it did get us thinking about how we have been underwhelmed at times during our travels. Our disappointments aren’t blanketed to an entire place but more to a few sights. Our disappointment with buying what we thought was water only to discover it was sparkling water. 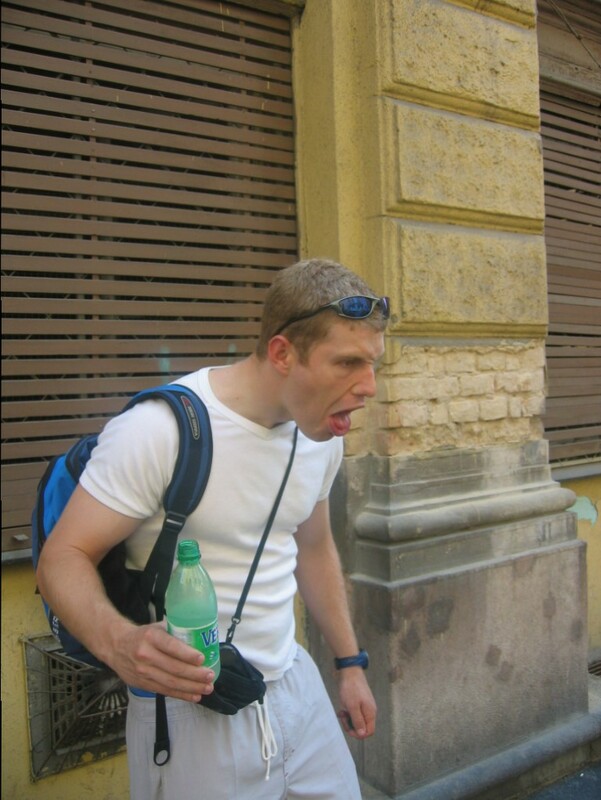 Here are our Top 5 Travel Disappointing Sights. But please read to the end before jumping to conclusions. Yes, we recently wrote about how we enjoyed our time there but when we first laid our eyes on it. Were we disappointed? Hell yeh! It wasn’t anywhere as inviting as the pictures we have seen of it. The colours were not as romantic (thanks to PhotoShop no doubt). The pictures that sell Pamukkale are WAY better – but it’s not to say that it’s not worth visiting because it certainly is! Really? That’s it? We were expecting something taller and bigger and a little more exciting. Maybe we have been brain washed by too many Hollywood flicks where the big scary apocalyptic wave crashes dramatically into the statue. Okay – so that is us being gullible. Sorry that we have to drag out a local tourist draw card. Let’s start by saying that the scenery is definitely spectacular and what we experienced was no doubt enjoyable on Kangaroo Island. One thing, we were really looking forward to seeing were the sea lions, relaxing on the beach and we did but as tiny little specks out by the water’s edge. We can completely understand that we need to keep our distance for the protection of the wildlife as well as humans but the distance was so far, we could barely see a thing without our camera zoom. Not that they weren’t impressive because they are. It’s just the atmosphere and ambience of the place does not exude significance or excitement. It didn’t stir any thrill inside or “pinch me I’m here” feelings. We can’t quite place our fingers on it but we found it a little anticlimactic. Fascinating but anticlimactic. And the MOST disappointing sight? Hawkers hassling us to buy roses and bubble guns as we stand in front of stairs that are covered in people. So where are the steps? We can’t even see them because of the bodies scattered. All the while being harassed to buy a rose… yeh, it has to be the most over-rated and underwhelming place we have seen. We probably spent a total of 5 minutes there before we were literally chased away by a hawker … to pay for the rose that he threw at us which we didn’t even want! And anyway, to be fair and honest, we are to blame! We hype these things up in our heads only to be disappointed and then try to blame the place. Uh-uh *shaking head*…. The problem is ours not the sight itself! Our solution to avoiding disappointment: Don’t have any expectations. We have learnt to realise that an experience is more than just an impression. And what we describe above are just impressions. Because overall our experience in all these places were nothing short of unbelievable. 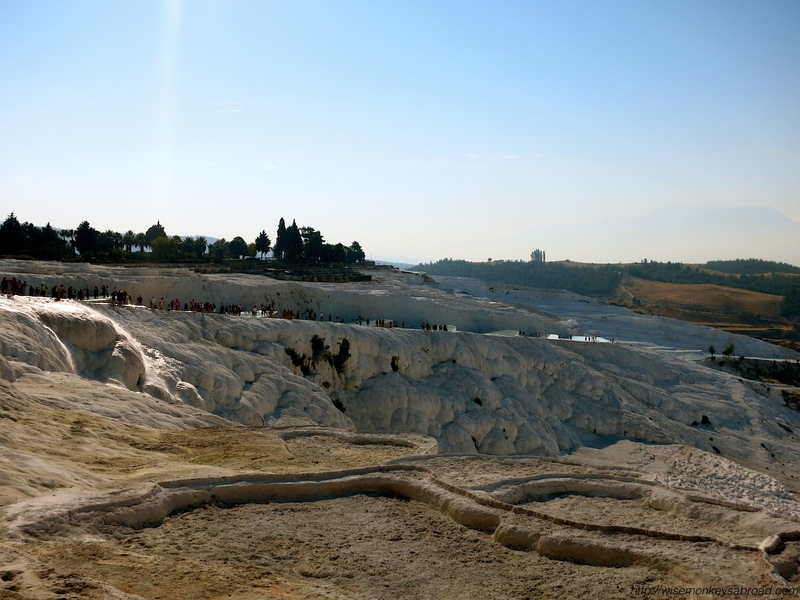 We loved Pamukkale… actually we loved very drop of Turkey. 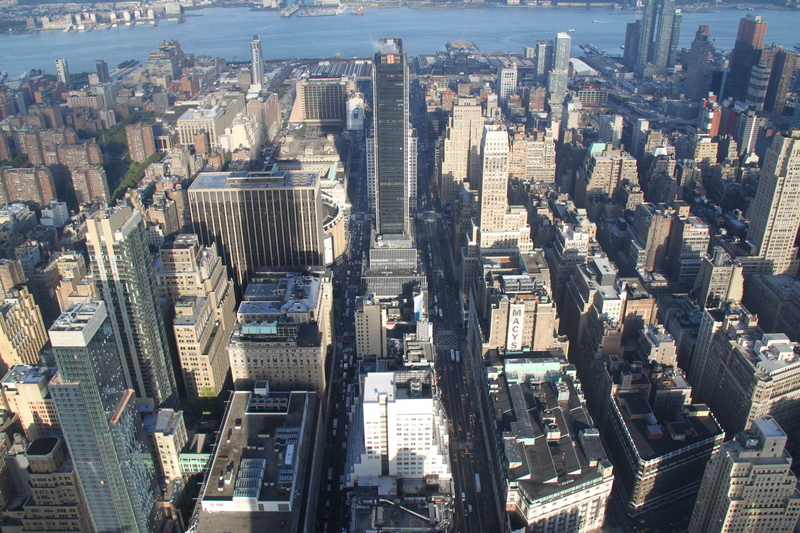 We were dazzled by NYC … we want to go back. 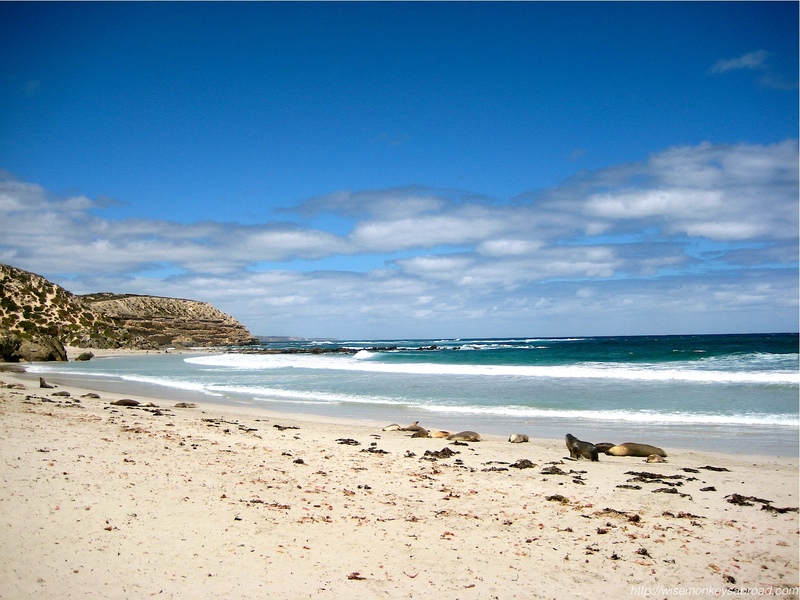 We love how untainted Kangaroo Island is…. we would stay longer next time. We were enchanted by Rome… we yearn to go back. 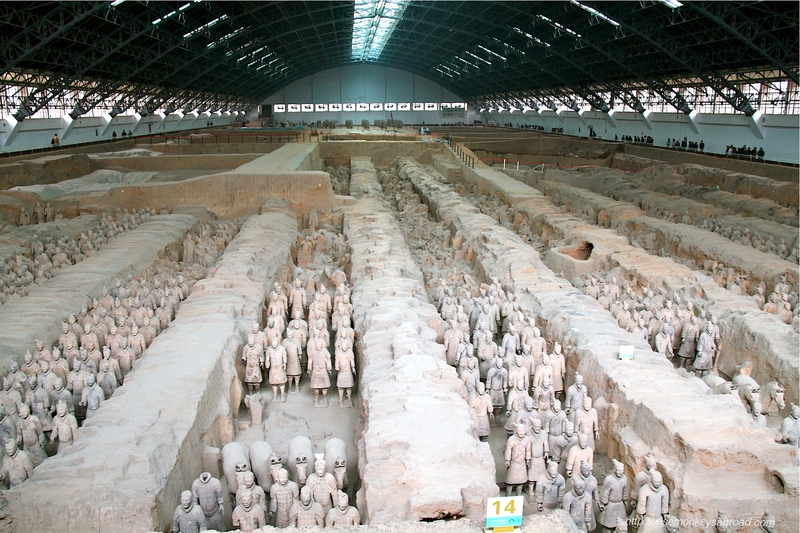 We were mystified by Xi’an… we remember it fondly. So it just shows that a “disappointment” of an attraction does not necessarily equate to negative feelings on an entire place. What about the atmosphere, the culture, the people, the food and everything else beyond the well-renowned must-sees? Go somewhere to experience it, not just to see it! So do you agree with any of the places? Or do you have somewhere else you want to include? This entry was posted in Australia, China, General Travel Musings, Italy, South Australia, Turkey, Turkey, USA and tagged Australia, disappointment, experiences, impressions, Italy, Kangaroo Island, lessons, new york, NYC, opinion, Pamukkale, Rome, Spanish Steps, Statue of Liberty, Terracotta Warriors, tourist, Travel, travel lessons, Xi'an. And the list of songs that are about NYC goes on and on, as can the movies and shows based in NYC and the celebrities that can be associated with NYC. It is a place to see and it is a city that sleeps very little. There is so much to do here and to anyone who has never been, GO! And if you do go, STAY (well, stay for more than 3-4 days , at least a week). Although accommodation might set you back a bit, that’s about where the pricey-ness ends as a tourist. The best way to see NYC is to buy a metro pass and because we were there for a week, that is what we did. We looked at the map of NYC and visited an “area” each day, hopped on a metro and got off somewhere and then started walking. Just meandering through the streets and finding street performers and hole-in-the-wall eateries is what travelling is about. Unless there is something specific that you want to see and somewhere you need to be, a guidebook is not necessary. 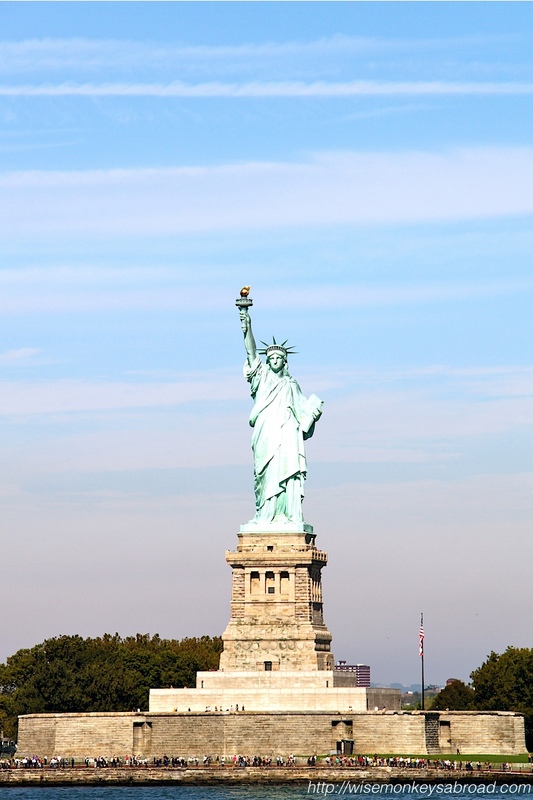 There is no denying that being in NYC, there are touristy things that you shouldn’t miss out on – visiting Times Square, the Statue of Liberty, the Flatiron, Central Park and the Empire State Building. Trying a pretzel and hot dogs from the street vendors. Paying respects where the World Trade Center was. Stopping in at the countless museums. Seriously, it is impossible to be bored here! And you might also spot some stars (unlikely the ones in the sky, we were referring to movie stars), we walked past Naomi Watts and stood at a traffic light beside Michelle Rodriguez. Strolling through Central Park and stumbling across a marathon, a wedding, musicians busking…. And to have a break from the hustle bustle of NYC, we took a day trip to Philadelphia where we saw Independence Hall and Liberty Bell. Goodness, this whole trip was beginning to feel like we were on the National Treasure trail with Nicholas Cage. 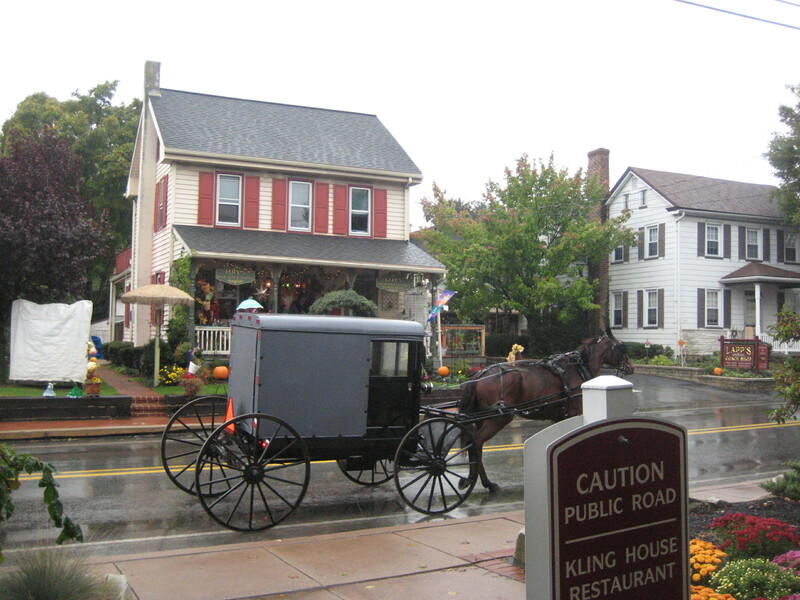 Then from national treasures and traffic, we slowed down a notch and also visited the Amish Country where we got to ride in a buggy! It was a great opportunity for us to learn about another way of life, one that we are not familiar with! 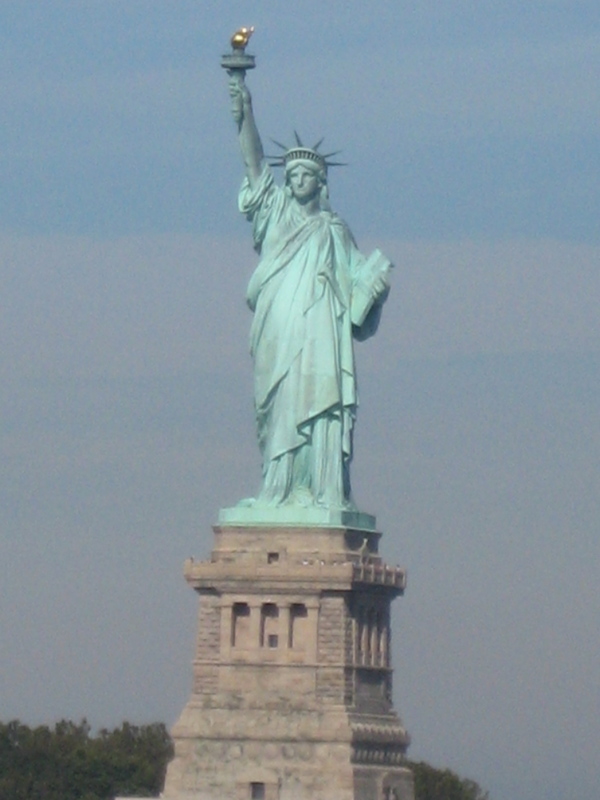 This entry was posted in North and Central America, USA and tagged Central Park, New York City, NYC, Statue of Liberty.